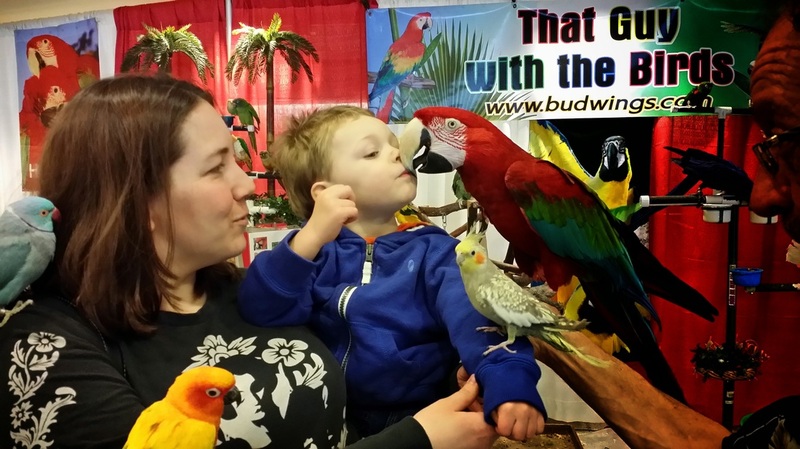 Chicagoland Family Pet Expo March 2015 - That Guy with the Birds! We had the WOW FACTOR in Chicago! What a great crowd for all the shows! Jody and Tower Productions did a fantastic job with the entire expo. Check out their website as well by clicking here. Our Thanks to all of the crew and everyone involved from Arlington International Race Course for the help and special attention they gave us. Can't thank everyone enough for coming by and the kind words about the birds and the show. See you next year !!! Pictures at The Chicagoland Family Pet Expo in Arlington Heights Illinois!